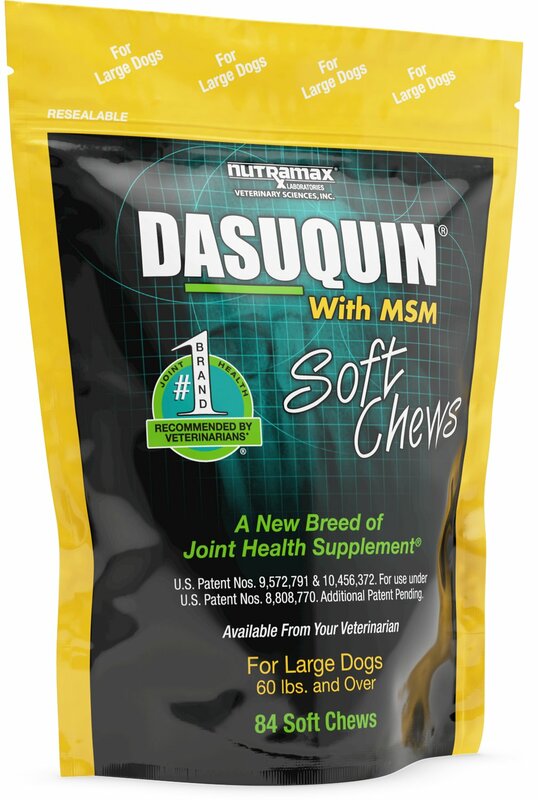 Nutramax has combined over ten years of clinical use and research on their joint health supplement Cosequin with their research in advanced joint health ingredients in developing Dasuquin, a cost-effective formulation for dogs. 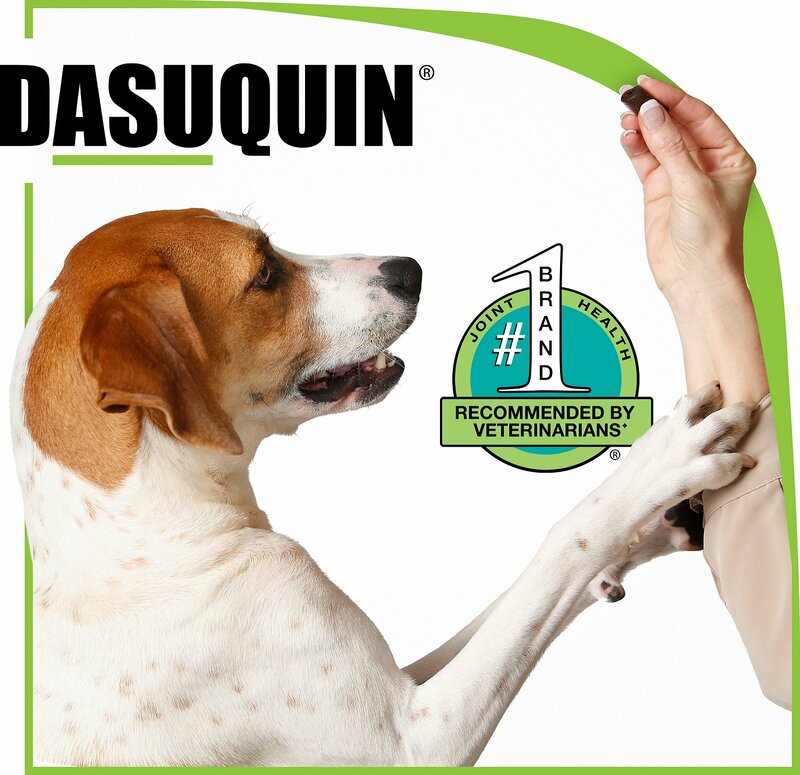 Dasuquin combines NMX1000 ASU (avocado/soybean unsaponifiables) and decaffeinated tea with Cosequin's FCHG49 glucosamine hydrochloride and TRH122 low molecular weight chondroitin sulfate to provide the most comprehensive joint health management formula available for dogs. Dasuquin is a dual synergistic formula: its specific glucosamine hydrochloride and low molecular weight chondroitin sulfate have demonstrated synergy in stimulating cartilage matrix production, while ASU also acts synergistically with glucosamine. Each Soft Chew Contains: Glucosamine Hydrochloride* 99% (900 mg for Large Dogs, 600 mg for Small to Medium Dogs), Sodium Chondroitin Sulfate* (350 mg for Large Dogs, 250 mg for Small to Medium Dogs), Avocado/Soybean Unsaponifiables* (Asu) Powder (90 mg for Large Dogs, 45 mg for Small to Medium Dogs). Dasuquin Soft Chews Are Also Available for Dogs In Formulations Containing MSM (Methylsulfonylmethane). Dasuquin with MSM Contains 400 mg MSM for Small to Medium Dogs and Dasuquin with MSM Contains 800 mg MSM for Large Dogs. Reported On A Hydrous Basis. 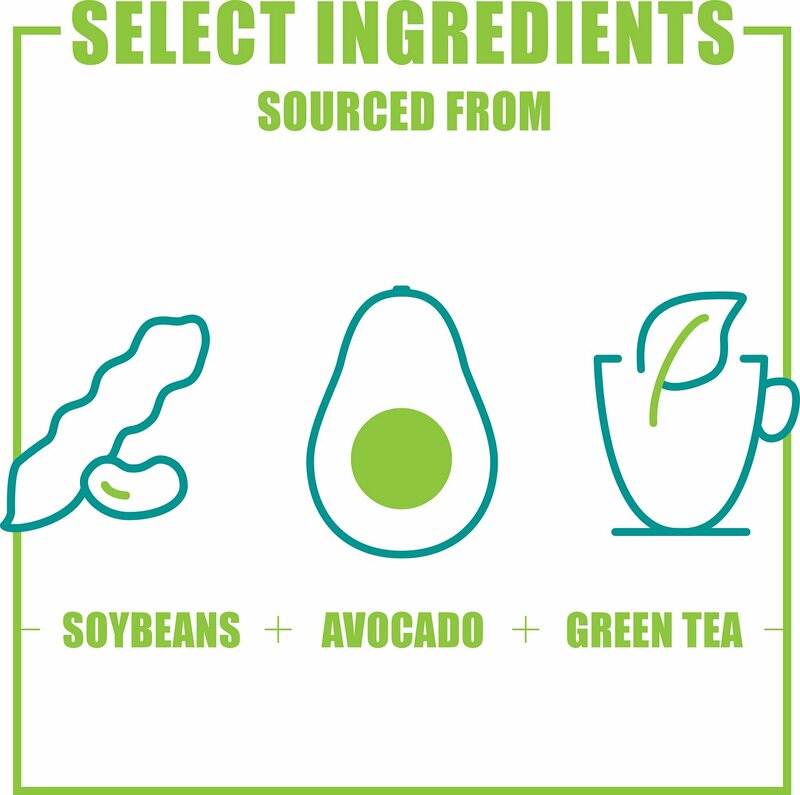 Standardized to Contain A Minimum of 30% of Avocado/Soybean Unsaponifiables. During the initial 4 - 6 week period, give 2 chews daily. After the initial period, give 1 chew daily. I have a Boxer Mastiff mix... She's 6 and started favoring her hip. She's a big girl 105lbs not fat just a big dog. Been giving her 2 of these a day for about 2 1/2 weeks now. She has improved a lot she's just a little stiff now when she gets up but was much worse before. She's back to running in the yard, playing I recommend this for anyone who has a dog with arthritis or hip issues. Give it a few weeks you will see a big difference. Started this product 2 months ago. After we found out her 10 month old female german sheperd was displaying the beginning of Hip Dysplasia. Before she can evaluated further by a specialist she needs to finish growing. She did display some stiff soreness though with long hikes. We started this and she is doing great. A little spitfire and ball of energy. We also started our 8yr. old male on this product too. Even though doesn't have issues and he seemed to perk up and get more active also. Who Do I Thank ? I previously was using the Dasuquin in large tablets which I had to cut in pieces and hide in peanut butter for my finicky Shepherd to eat. Just ran across these soft chews when I went to chewy to buy another bottle of the tablets and thought I would give them a try. To my surprise! Tonka ate the soft chews without the peanut butter! A lot less mess and work for me. My female shepherd needs to take this product for her arthritis. She unlike my male has always eaten every thing I give her until these. She puts them in her mouth acts lIke she is going to eat them then spits them in the yard. If I ont catch her quick enough the puppy steals them and she will eat anything. That being said, I don’t know if the dog has consumed enough of the medicine for me to have any idea if it will work. My dog had lost her zest for fetch and climbing stairs. After using this product for just a few days, she was up and doing the things she loves again, chasing the frisbee and not hesitating to go up and down stairs. Thank you for giving us our dog back. I have a 178 lb. Great Dane who is 8 years old and is nearing 9 next month. She has arthritis in her paws and small amounts in her spine. Before taking these supplements, she was always stiff with her movements and really slowed down. Hard getting up on the couch and getting off as well with car rides. You can tell it was painful for her. With this product, her movement has improved to near what it was a year or two ago and actually seems happier! Because of her size I give her 1.5 chews a day for maintenance. Some days she wants it, some days she knows it's medicine and won't take it willingly unless I break the pieces down. Nonetheless, this supplement has really saved her. This is the first joint supplement that both of my dogs have decided to eat without bribing them or hiding it in additional food. I have noticed a positive difference in my 13-year-old Pit Ellie’s mobility (2 pills a day) even though she has only been taking this a couple weeks. It’s a bit pricey, but definitely worth the investment. This is the second bag of joint health I have bought. The first bag was from my vets office who highly recommended it for my 9 year old boxer/bulldog mix who is starting to show signs of joint stiffness. 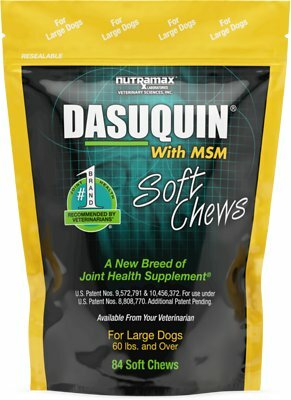 My vet recommended Dasuquin for my 7 year old Lab, following double knee surgeries a couple years ago. He will normally eat anything - he is a Lab. We are talking drooling over brussel sprouts, so I thought the soft chews would be a great option. He hates them. I "frost" them with chicken spread. He is showing improvement with flexibility after only a couple of weeks, so definitely worth the money. I am however switching to the non chewables for the future - smaller and easier to hide, I hope.